I woke up from my power nap on October 30, 2015 to see a missed call from veteran journalist and syndicated columnist Malam Mohammed Haruna. It is not often that one gets the privilege to get a call from one of the fathers and definers of modern journalism in Nigeria. I wondered what the call was about. Thankfully, unlike most Nigerians, Malam Mohammed always leaves a voice message, or sends a text, when I miss his calls. I saw that he left a voice message. I immediately played it. It turned out that he called to tell me that the Emir of Borgu, Alhaji Haliru Dantoro, had just died in a German hospital. That wasn’t what I expected to hear. I was so downcast by the message that I couldn’t return his call. I can relate to this. My father’s immediate younger brother, J.B. Kperogi, and Alhaji Haliru were intense political rivals in the then Borgu Local Government of Kwara State in the Second Republic. This rivalry deepened after the late Olusola Saraki broke ranks with the National Party of Nigeria (NPN) and supported Chief C.O. 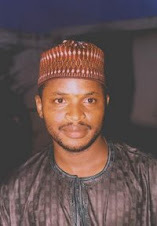 Adebayo of the Unity Party of Nigeria (UPN) for the governorship of Kwara State— against NPN’s Adamu Attah. My uncle chose to stick with Saraki while Alhaji Haliru chose to retain his loyalty to NPN and its governorship candidate. As you would expect, these divergent political allegiances put them at odds with each other. So, in the run-up to the 1983 elections, they routinely denounced each other in stump speeches in their fight for the hearts and minds of Borgu people. Saraki—and my uncle—prevailed in Kwara State with the election of UPN’s C.O. Adebayo as governor, but Alhaji Haliru’s loyalty was rewarded with an appointment as minister of the Federal Capital Territory. So when in 1999 or 2000 I was assigned, along with a colleague of mine in Weekly Trust, to interview the late Alhaji Haliru in Kaduna for a story I was a little apprehensive. I thought my last name would evoke memories of the bitter political fights he had with my uncle and cause him to not talk to us. But, again, something in me said he would probably not make the association—or that the passage of time would cause him to even forget that chapter in his life. After telling his secretary that we were journalists from the Weekly Trust who wanted to interview him for a story, we sent our business cards. The secretary initially said Alhaji Haliru was too busy to grant us an interview. As we made our way out of the building, someone came to say the man wanted to talk to us. It turned out the he looked at our business cards, saw my last name, and wondered if I was from Borgu. After we were ushered into his expansive, delicately furnished office, he wasted no time in asking me if I was related to J.B. Kperogi. My heart sank momentarily. I remembered the impassioned broadsides and counterblasts that characterized their political rivalry, and wondered what he would say. I told him JB, as he was popularly known, was my uncle. “Allahu akbar!” he said. “Where is he now?” He requested his contact details and asked that I send his greetings to him when next I had a chance to see him again. I was both relieved and pleasantly surprised by his genuinely conciliatory disposition. Cell phones weren’t mainstream at the time, so we didn’t exchange phone numbers. 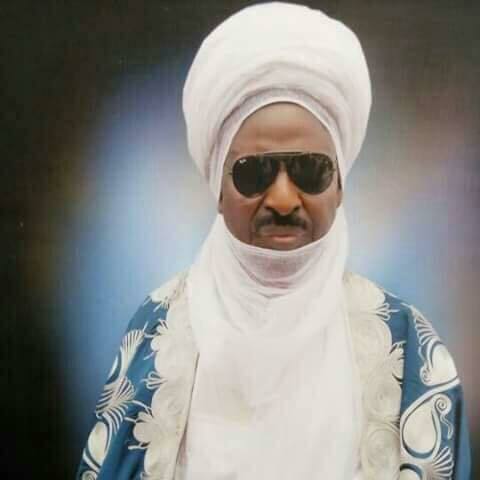 When he became Emir of Borgu after a bitter struggle, I couldn’t call to congratulate him, and never had another chance to meet with him. I also didn’t get a chance to tell my uncle about my encounter with him because my uncle died few months after. What struck me about Alhaji Haliru was that he didn’t betray the slightest bitterness. He was large-hearted, gracious, and obliging. To the boredom of my colleague from Katsina, he went on and on about the need for unity in Borgu, especially between western Borgu, which is now in Kwara State, and northern Borgu, which is now in Niger and parts of Kebbi State. He was a fervent advocate for the creation of Borgu State and for recapturing the glories of the ancient pluri-ethnic Borgu Empire, which stretched from what is now northern and central Benin Republic to parts of Kwara, Niger, and Kebbi states. Although those of us from western Borgu resent the title “Emir of Borgu” because it exaggerates the geographic and symbolic bounds of the influence of the Emir of Bussa and ignores the fact that there are three loci of political power in the ancient Borgu empire (Nikki in Benin Republic to which people in Western Borgu owe allegiance, Ilo in Kebbi State, and New Bussa), if there is one person who truly deserved the title of Emir of Borgu it was the late Alhaji Haliru Dantoro. More than any Borgu head honcho I know, he worked hard, within the limits of his capacities, to repair the various fissures in the region.